As we increasingly find that the world of computational abundance is normalised, the application of cheap digital technologies to manage or partially augmented traditionally analogue experiences, technologies and practices will doubtless grow. That is, the power of "compute" is growing both in breadth and depth as it permeates society and culture (see Davies 2013; Berry 2014a). All around us we are increasingly surrounded by new fields and flows of computation that co-construct and stabilise a new artifice for the human sensorium – streams, clouds, sensors and infrastructures. Not unlike previous moments in which mediums become part of everyday life, this new field is noticeable for its ability to modulate and transform itself through the use of algorithms and code. Not just as a general plasticity but as a flexible structure that adapts to context and environment tailored to the individual, or perhaps better, dividual, of the computational age. This new field of computation is not necessarily top-down and corporate controlled either. Thus, we see at a bottom-up level, the emergence of a market in cheap digital processors that enable the implementation of innovative new forms of culture and cultural experimentation. We might think of these moments as part of the constellation I am calling the "post-digital" (see also Berry 2013a; Cramer 2013; Cox 2013; Philipsen 2013; Sable 2012). Museu de Arte de São Paulo (MASP), 1968. Thus, the historical distinction between the digital and the non-digital becomes increasingly blurred, to the extent that to talk about the digital presupposes a disjuncture in our experience that makes less and less sense. 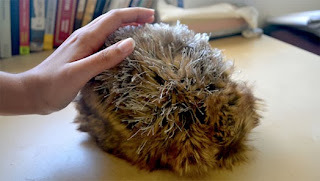 Thus computation becomes spatial in its implementation, embedded within the environment and part of the texture of life itself which can be walked around, touched, manipulated and interacted with in a number of ways and means – life becomes mediated in and through the computal (Berry 2014b). Indeed, in a similar way in which the distinction between "being online" or "being offline" has become anachronistic, with our always-on smart phones and tablets and widespread wireless networking technologies, so too, perhaps, the term "digital" describes a world of the past. Which is not to say that time is not an important aspect to computation in this post-digital world. The compressive effects of computation and the flattening metaphors and visual language of computation tend towards an encounter, maximised perhaps by its tendency toward spatiality, to transform time from a diachronic to a synchronic experience. 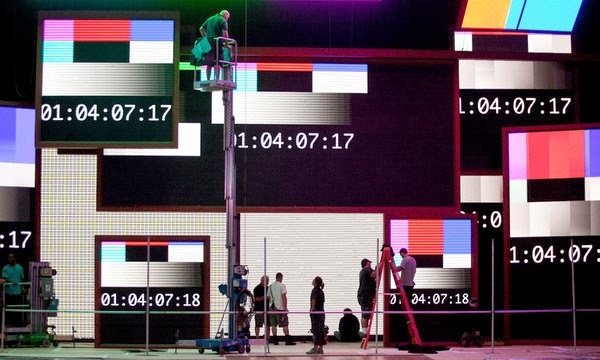 Indeed, history itself may be re-presented through the screen through a number of computation functions and methods that make it seem geometric, flat and simultaneous. A sense of history is then a sense of real-time flows, not so much distant and elusive, whether as cultural or individual memory, but here and now, spectacular and vividly represented and re-presented. Time in this sense is the time of technical time, and the history attendant to it is technical history, presented through databases, code and algorithms. Non-digital media technologies... become post-digital when they are not simply nostalgically revived, but functionally repurposed in (often critical) relation to digital media technologies: zines that become anti- or non-blogs, vinyl as anti-CD, cassette tapes as anti-mp3, analog film as anti-video (Cramer 2013). In a post-digital age, whether something is digital or not will no longer be seen as the essential question. Or rather, the question as to whether something is or is not "digital" will be increasingly meaningless as all forms of media become themselves mediated, produced, accessed, distributed or consumed through digital devices and technologies. This is, to move away from a comparative notion of the digital, contrasted with other material forms such as paper, celluloid or photopaper, and instead begin to think about how the digital is modulated within various materialities. It is also when the contrast between "digital" and "analogue" no longer makes sense either. This spectrum of the digital, a distribution across an axis of more of less computal, gives rise to the expectation of the always already computational of everyday life. 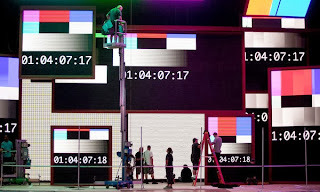 Thus, the post-digital is represented by and indicative of a moment when the computational has become both hegemonic and post-screenic (see Bosma 2013; Ludovico 2013). 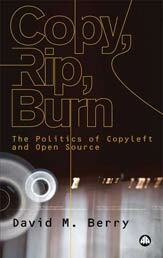 As Cramer argues, "the distinction between 'old' and 'new' media collapses in theory as well as in practice. As Kenneth Goldsmith observes, his students 'mix oil paint while Photoshopping and scour flea markets'" (Cramer 2013). 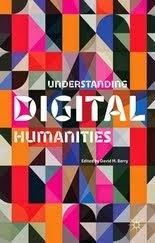 The "digital" is then understood as a previous historic moment when computation as digitality was understood in opposition to the analogue, although that is not to say that it will not remain as a marginal notion with related practices within post-digitality. Thus, under our contemporary conditions it might be better to think about modulations of the digital or different intensities of the computational as a post-digital moment rather than digital versus analogue as such. We should therefore critically think about the way in which cadences of the computational are made and materialised. In other words, notions of quantitative and qualitative dimensions of "compute" will be increasingly important for thinking about culture, economics, society, politics and everyday life. Tracing power will in many cases be tracing compute, both in terms of the reservoirs of compute managed by gigantic computational Stacks, but also in the places where compute is thin and poorly served. By Stacks, I am referring to the corporations that increasingly rely on computational "technology stacks" for profit and power, such as Google, Apple, Facebook, Twitter and Amazon but also the technical imaginary formed through the notion of these stacks as a diagram (Berry 2013b). Compute as already always part of life might also herald that the moment of the digital as digitalisation is already the past, and that new challenges lie ahead for thinking about the way in which the computal saturates our culture, institutions and everyday life in varying degrees of modularity and intensity. This growth in computation has put citizens at an obvious disadvantage in a society that not only has historically tended to disavow the digital as a form of knowledge or practice, but also has not seen computational thinking or skills as part of the educational requirements of a well-informed citizen. For example, the lack of understanding of the importance of encryption and cryptography in digital society was humbly described recently by Glenn Greenwald, who one might have thought to have been better schooled in these technologies (Greenwald 2013). Indeed, as computer power has increased, so has the tendency to emulate older media forms to provide content within simulations of traditional containers, such as “e”-books, through techniques of skeuomorphism and glossy algorithmic interface design – rather than learning and teaching computational practices as such. 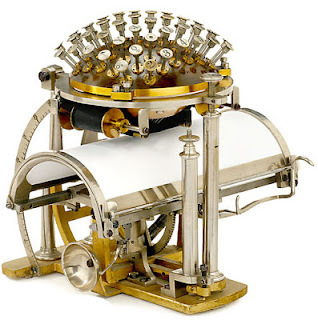 This, perhaps, has the advantage of new computational forms being able to be used and accessed without the requisite computational skills to negotiate the new literary machines of computation, such as the underlying logics, structures, processes and code. However, it also means that in many cases today, we are unable to read what we write, and are not always the writers of the systems that are built around us (Berry 2011; Oliver, Savičić and Vasiliev 2011; Allen 2013). This illiteracy does not seem to be the ideal conditions for the emergence of an informed and educated citizenry to engage with the challenges and dangers of a fully softwarized post-digital society. It also points to the urgent need for a critical and engaged Bildung for the post-digital world, if it is not to become precariously post-democratic. 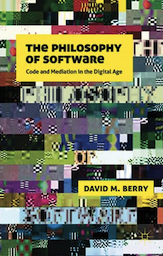 Berry, D. M. (2011) The Philosophy of Software, London: Palgrave Macmillan. 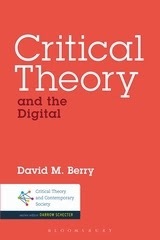 Berry, D. M. (2014b) Critical Theory and the Digital, New York, Continuum/Bloomsbury Academic.